The unreleased tracks are being heard for the first time on any cd or album. stereo tape recorder direct from the system. There has been no editing or studio re-mixing. Hadi Saeed ( Bass Guitar). All material on this recording are the sole possession of Osiris. Any release without the written consent of Osiris is strictly prohibited. 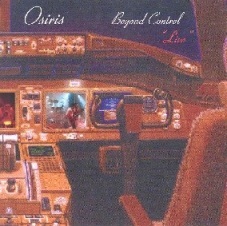 Nevertheless, the distinct and sheer energy of Osiris is now captured for the first time on cd. One final note. This recording contains tracks never previously released, but we promise to have studio versions released soon. In the mean time, enjoy.